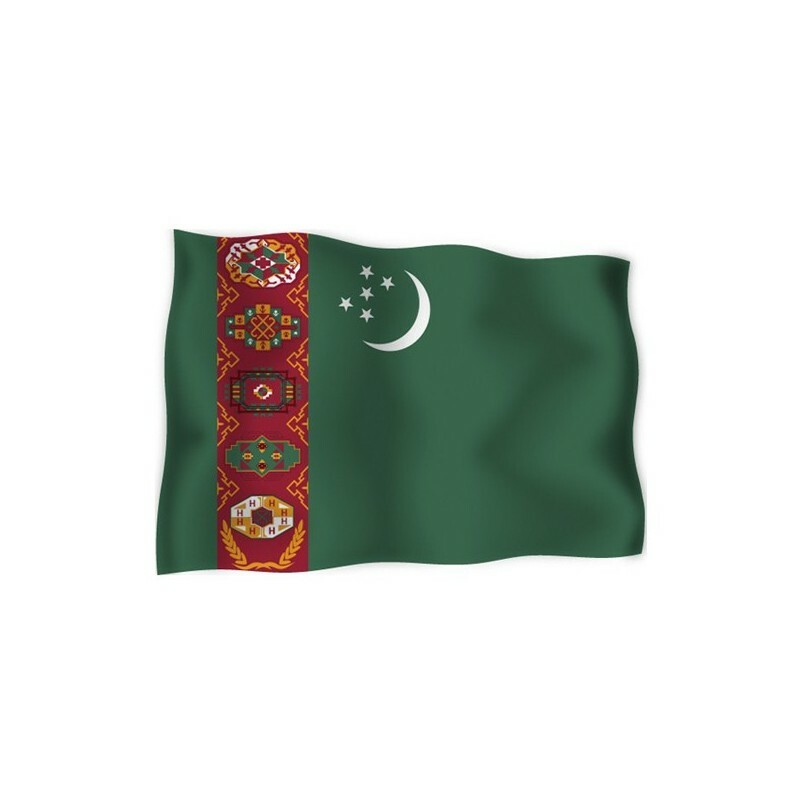 Turkmenistan's flag of nautical woven. 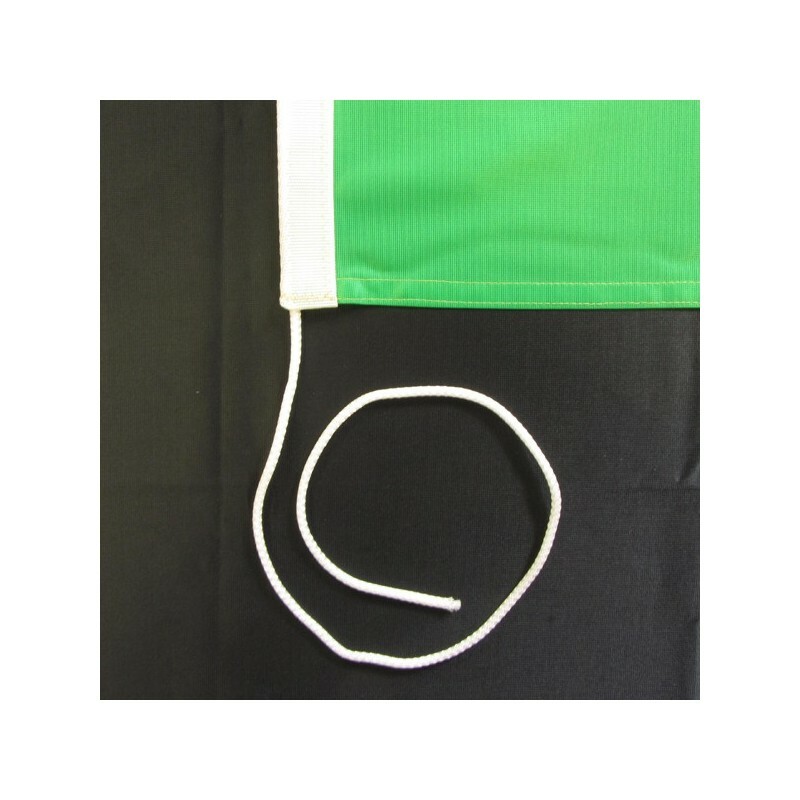 Flag of Turkmenistan of nautical polyester, for external use only, with digital print. 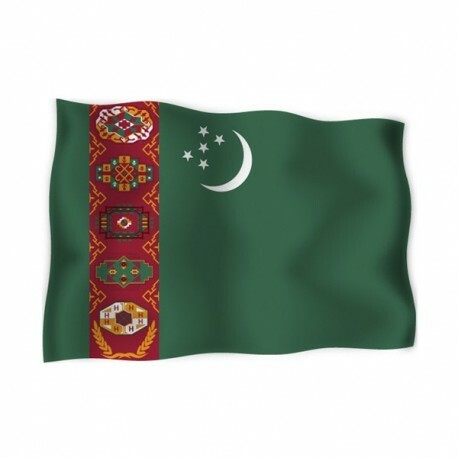 Since the 19 of February 1997 the National and civil flag of Turkmenistan has a green background with a vertical red stripe on the left side, which contains five motifs,. They are supported from two olive branches and they were used in the production of the carpets. On the right of the red stripe there are a crescent moon and five stars. They represent the five regions of the country. 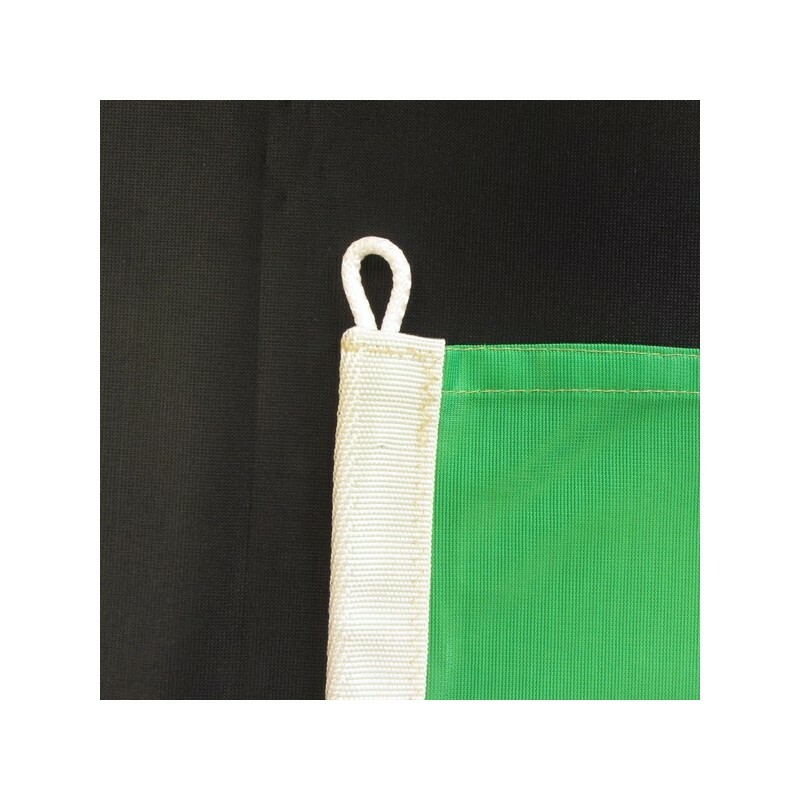 The green of the background is the venerated colour of Turkmenistan. The olive branch was added in 1997 and it is the same of the United Nations flag. The decoration symbolizes the five traditional drawings of the carpets. Turkmenistan was one of the 15 federal states of URSS. In 1991 it separated from it and it became an independent republic.